Bloggers and writers get stuck. And tired. And sick. And bored. It is often hard to come up with something fresh and original. It is. Trust me. It is. In order to have a successful blog, you are going to have to routinely dream up new, high-quality content. Every blogger is going to battle writer’s block at some point. I have been there and continue to have days where I sit down at the computer to share some of my fresh and unique thoughts . . . but there are not any. 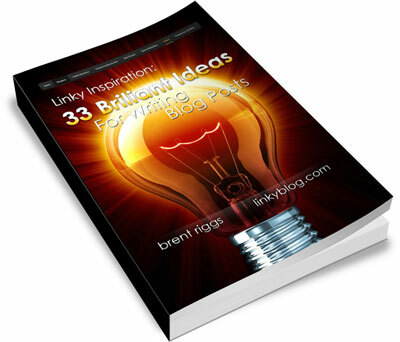 The techniques, methods, and list of inspiring ideas I am going to share with you in this book have been helpful to me, and I know they will get your creative juices flowing on the days you need a little brainstorming boost. Over my years of writing, I have compiled my own reference list of “blog post types” that I frequently look at to get ideas. I do not just wait until I am feeling dull or blocked. I will routinely view it simply to fuel my brain and get my writing pot boiling. The list I have created is a compiled list I’ve developed over time. I would be lying if I said I sat down one day and wrote this. This list came about over time and I just kept adding to it as I ran across new ideas, either my own or by some other writer. Having a reference list like this is invaluable. I trust you’ll use it often and find it as inspiring as I do. Someone poses a question and then you answer it. Readers might ask questions… in fact, you should INVITE your readers to ask questions. They are a great source of content ideas. I have written hundreds of posts by simply ending every other regular post with something like this: “What are your questions for me about….” I’ve published a couple of books with several hundred of these “answered questions” as the content. They are probably my favorite type of content because you are writing about what your readers want to know. Start with a couple of paragraphs of explanation about the topic followed by a list of tips. People love to know time-saving and cool tips and tricks. What is your blog about? What are you good at? Write some tips. You don’t have to be an expert… you just have to know more than your typical readers. Use the Internet to find tips you haven’t thought of. Sometimes writing tips is not just dreaming up those tips, but it’s compiling them into one convenient list for the benefit of your readers. My book “100+ Of My Best Blogging Tips” (get the book here, or sign up FREE at www.linkyblog.com to receive the tips via email) is a great example of using tips to create content your readers love because of the value and benefit it represents to them. Once upon a time something happened to me; maybe I learned something from it, and now I’m telling you. People love personal stories… they can either be pure entertainment or perhaps a lesson learned. Make sure your story is “timeless” if possible. This is the BEST of something… best websites about a topic, best writers on a subject, best restaurants in Dallas, best blogs about adoption, best free graphics tools on the web. Use the Internet to research and you’ll often find good information that will help you determine your “A” list. You need to decide how to present the list: is it a measurable list that you can “prove” with data or evidence? Or it is simply your opinion? If provable, reference that data. If an opinion, communicate to your readers what makes your opinion authoritative or qualified to declare an “A” list on some topic.